At CMRF, we dedicate each day to improving the health and well-being of children and their families affected by childhood illness and disease. Since 1984, CMRF has been the US affiliate of Children’s Medical & Research Foundation in Ireland. Both nonprofit organizations work together to support Ireland’s leading pediatric research institution, the National Children’s Research Centre based at Our Lady’s Children’s Hospital, Crumlin in Dublin. Over decades in the United States, we have partnered with philanthropic Americans to change the face of healthcare for children. Together, we have raised more than $10 million to support world-leading scientists at the National Children’s Research Centre, the only research facility in Ireland that’s 100% dedicated to sick children – with global impact. Because of generous individuals like you, we can better understand some of the most serious illnesses facing children today, so they can be diagnosed more quickly, treated more effectively, and cured. The Board of Directors of the Foundation are a group of supportive professionals in the business and Irish community. Their advice, guidance and generosity provide mission-based leadership and strategic governance for multiple CMRF Inc. programs and fundraising events. 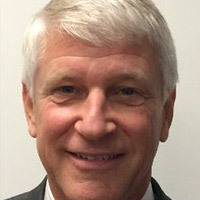 Alan T. Ennis has served on the board of CMRF USA since June 2013 and was appointed Chairman of the board in February 2016. Alan has served as President and Chief Executive Office of Glansaol LLC since October 2015. Glansaol, which is Irish for “Pure Life”, is a world-class, global beauty & personal care company, with an integrated portfolio of premium, complementary brands. Prior to joining Glansaol, Mr. Ennis was President and Chief Executive Officer of Revlon, Inc. from 2009 to 2013. Revlon Inc. is a $1.5 billion global beauty & personal care public company with a portfolio of iconic brands across segments, geographies, and channels. Revlon, under Mr. Ennis’ leadership, generated top line growth, sustained highly competitive operating profit margins, delivered positive cash flow, and saw a five-fold increase in share price. 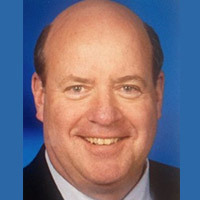 Mr. Ennis joined Revlon in 2005 and, prior to becoming President and CEO, served as President, Revlon International since May 2008 and as Executive Vice President and Chief Financial Officer since November 2006. Prior to joining Revlon, Mr. Ennis held several senior positions with Ingersoll-Rand Company, a $10 billion leading global innovator and solutions provider, and he began his career in 1991 with Arthur Andersen in Ireland. 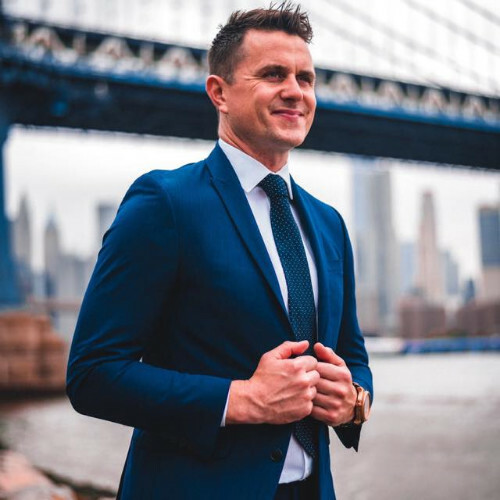 Mr. Ennis is a Chartered Accountant and Fellow of the Institute of Chartered Accountants in Ireland; has a Bachelor of Commerce Degree from University College Dublin, Ireland; and has a Master of Business Administration Degree from the Stern School of Business at New York University. 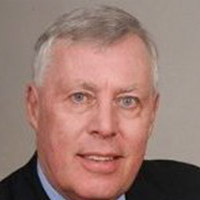 Mr. Ennis serves on the Board of Directors of three organizations: (1) University College Dublin Michael Smurfit Graduate Business School; (2) Chairman of the Board of the Children’s Medical Research Foundation, Inc. (Children’s Hospital in Ireland); and (3) Nutrabolt, a rapidly growing developer and marketer of innovative sports nutrition products. 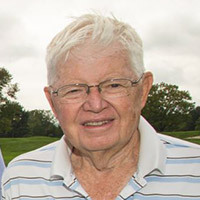 Mr. Ennis was the 2011 Recipient of the National Breast Cancer Coalition Leadership Award; and he was the UCD Quinn School of Business Alumni of the Year in 2012. In his spare time, Mr. Ennis is an active marathon runner and tri-athlete, and also enjoys golf and tennis. He resides in New Jersey with his wife Michelle and their three young children. 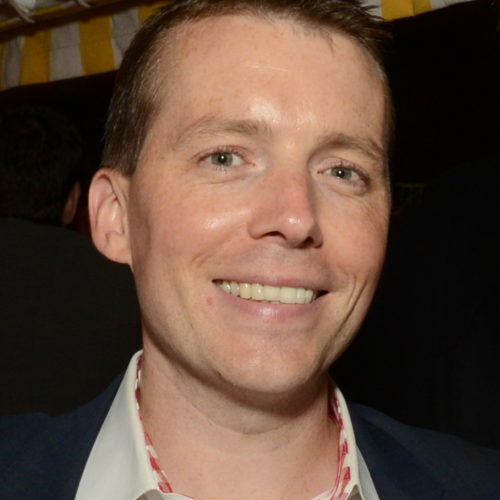 Dublin-born Alex Barry is a Managing Director with TriplePoint Capital where he manages the New York portfolio for the fund, which has invested over $6Bn in the venture capital ecosystem since inception in 2006. Headquartered in Menlo Park, TriplePoint provides flexible capital solutions to technology companies at various stages in their life cycle – seed, growth, and pre-IPO. Alex works closely with founders and VCs, providing long-term financing solutions that are used to fund market expansion, equipment purchases, and acquisitions. TriplePoint has worked with numerous high profile tech companies, including Facebook, YouTube, Square, Jet.com, Ring, and Revolut. 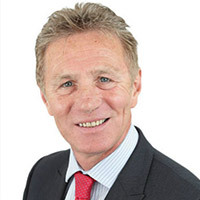 By any standards, Eamonn Coghlan’s 1983 was an exceptional year; first that sensational world indoor mile record of 3:49.78 for the man known universally as Chairman of the Boards, then later in the summer, the inaugural IAAF World Championship 5,000 metres title – a landmark achievement in Irish athletics. In those seven months period from February to August, Eamonn seemed almost invincible, and to athletics enthusiasts everywhere, but especially here in Ireland, he became one of the all-time greats. We had shared in his disappointment at finishing fourth in the 1500m at the Montreal Olympics, then four years later in Moscow, when he again finished fourth, this time in the 5,000 metres. Between the two, there was silver in the European Championships at Prague in 1978. That victory in Helsinki was one of the greatest moments in Irish sport. Eamonn ran the perfect race, third at the bell, making his move 300m out, and by the time they hit the home straight it was all over – 13:28.53, and the last 1,000m at sub-four minute mile pace. Everyone remembers his jubilation at the win, and at 30 years of age it was no more than he deserved. That win will live forever in our memories, but there were many wins, and a long series of incredible times, including his 3:36.2 for 1,500 metres and 13:19.13 for the 5,000 metres. He won three AAAs titles, 11 Irish Championships, the World Cup 5,000m in 1981 as well as seven Wannamaker Miles. There was a brilliant 4:54.07 world record for the 2,000 metres, and then that unforgettable swansong; the first – and to this day only – sub-four minute Masters Mile. 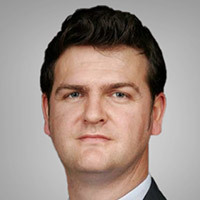 Stephen is a Director of TPG Capital, a global alternative investment firm, and is based in Dallas/Fort Worth, Texas. Prior to TPG, Stephen lived in New York City working as CFO for the Retail Division of Tradeweb Markets and CFO Americas for DEPFA BANK plc. 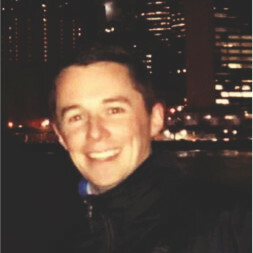 A native of Dublin, Stephen has been based in the US for over 10 years. 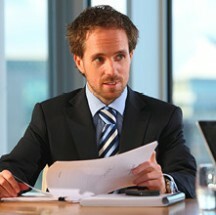 He is a Fellow of the Chartered Institute of Management Accountants. David Evans has served on the Emerging Leaders Board of CMRF USA since February 2016 and was appointed Chairman in the same month. 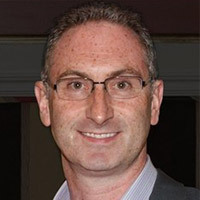 David is a Chartered Accountant and Tax Consultant with many years’ experience working with US outbound transactions. David has over 15 years’ experience working with US based multinational organisations in relation to their European operations. Previously, David held the position of European Tax Director at an international manufacturing company headquartered in Ireland and was responsible for managing their European tax function. 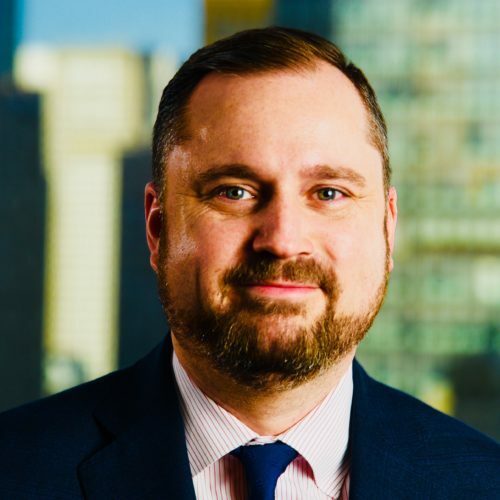 He has also worked in a professional advisory capacity with KPMG LLP (both in the US and in Ireland) and one of Ireland’s leading law firms, advising primarily US based clients in connection with their global tax planning. 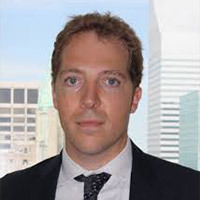 David is based in the New York office of Canyon CTS and is focused primarily on assisting US companies in connection with the implementation of their international expansion plans. He has assisted US private equity groups, VC firms, technology corporations, life science companies, beverage distribution companies, medical device companies and software groups in relation to their European expansion projects. 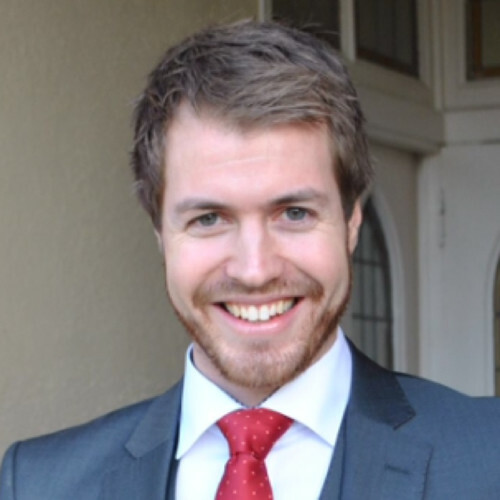 He is currently undertaking an MBA at Fordham University in New York. He sits on the board of a New York based charity, Camp Herrlich and is actively involved in the fundraising activities of the paediatric cancer research charity, known as the CMRF (Children’s Medical & Research Foundation, Inc.), related to Crumlin Hospital in Dublin, Ireland. 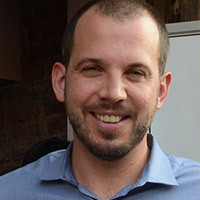 He is a founding member of the Emerging Leader’s Board of the CMRF in New York. David is also a member of the Ireland US Council in New York. 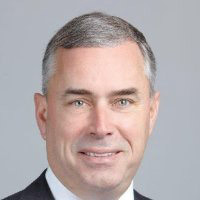 Jim Flanagan is the Vice Chairman and US Managing Partner focused on identifying and maximizing PwC’s operational strengths, creating an enhanced experience for employees, and developing stronger relationships with stakeholders. He previously served as Vice Chairman, Client Service, for markets in the East Region of the United States. In this role, he is responsible for the development of committed relationships between clients and our firm for a broad range of assurance, tax, and advisory services. Jim brings over 33 years of client service and PwC leadership experience. His experience includes 16 years in our Transaction Services practice (M&A business), having been involved with it from its inception in 1989. Jim led the practice for five years until becoming the US Leader of the PwC Financial Services practice in 2006. In this role, Jim oversaw the Banking and Capital markets, Insurance, and Asset Management sectors. He was actively involved with the PwC global financial services leadership team as well as the US firm’s audit leadership team. Jim is also a Board member of The Ronald McDonald House of New York. He has also been actively involved in Junior Achievement for many years. He attended the Leadership in Professional Services Firms Program at Harvard, and the Understanding Clients Strategic Agenda program at INSEAD. 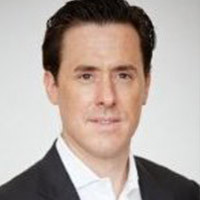 Sean is a first vice president and senior financial advisor at Merrill Lynch, where he leads the Gaffey Mellody Group. Within the group, Sean crafts customized portfolios with a focus on impact investing, alternative investments and uncovering unique opportunities to support each client’s specific goals. 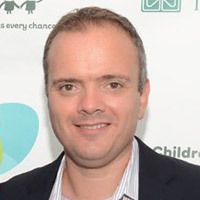 Currently, Sean serves on the board for three Irish non-profits – Co-operation Ireland, which focuses on peace and reconciliation throughout the isle of Ireland; the Children’s Medical Research Foundation, which supports Our Lady’s Children’s Hospital in Dublin; and the Irish International Business Network. In addition, Sean is proud to be a mentor with the U.S.-Northern Ireland Mentorship Program and the Irish Executive Mentorship Program. All of Sean’s grandparents were born in Ireland with the paternal side coming from Ballymoe, Co. Galway and his mother’s family from Drangan and Thurles, Co. Tipperary. Born in the Bronx and raised in New Jersey, Sean resides in Rockville Centre, NY with his wife, Allison, and their two sons, Aiden and Liam. Tom Goodwin practices in the areas of commercial litigation, franchise and distribution, unfair competition, restrictive covenants and product liability. He is Chair of the Firm’s Franchise and Distribution Law Group, and counsels manufacturers, franchisors, franchisees, and foreign and domestic distributors with respect to transactions arising from changes in distribution chains and wholesaling methods. 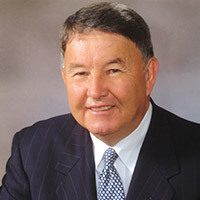 He has successfully represented clients involved in diverse matters including the recovery of costs of remediating environmental contamination on property, breaches of contract and express and implied warranties, recovery of money embezzled by a former employee, and prosecution of an action in Delaware Chancery Court on behalf of principal shareholders against an incumbent board of directors of a publicly-traded company which resulted in reconstruction of the board. Mr. Goodwin has been named a New Jersey Super Lawyer and is perennially featured in The Irish Voice’s Irish Legal 100. Super Lawyers is published by Thomson Reuters. Martindale-Hubbell is published by Internet Brands, Inc. A description of their selection process can be found in the respective links above. No aspect of this advertisement has been approved by the Supreme Court of New Jersey. 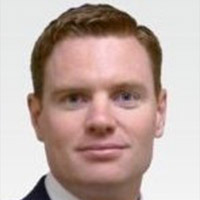 Stephen Kennedy is a KPMG Financial Services Partner based in New York. He has over 19 years of experience providing audit, transaction services and other advisory work to Banking and Capital Markets clients, including a number of SEC and IFRS listed registered banking and leasing clients. 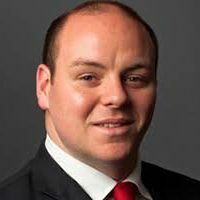 Stephen has a Bachelor of Commerce and Masters of Accounting from University College Dublin, and he is a Fellow of the Institute of Chartered Accountants Ireland, a licensed CPA and a member of the American Institute of Certified Public Accountants. 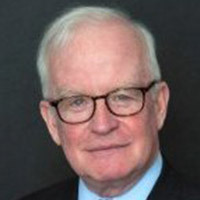 Colin Neill became a Director of the Children’s Medical Research Foundation, Inc. in July 2013. Currently he is semi-retired, serving on a few boards, both commercial and non-profit. 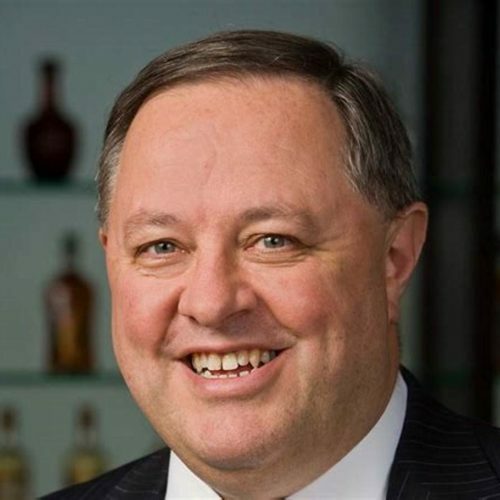 For the past twenty years, Colin was involved in the biotechnology industry, serving as President and CFO of Pharmos Corporation, and earlier as CFO of Axonyx Inc. and ClinTrials Research Inc. all publicly traded companies. 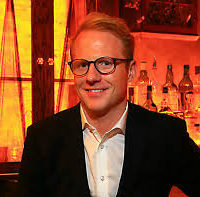 Before moving into the biotechnology industry, Colin gained experience as Vice President of Finance and Chief Financial Officer of BTR Inc., a $3.5 billion US subsidiary of BTR plc, a British diversified manufacturing company, and Vice President Financial Services of The BOC Group Inc., a $2.5 billion British owned industrial gas company with substantial operations in the health care field. Colin served four years with American Express Travel Related Services, first as chief internal auditor for worldwide operations and then as head of business planning and financial analysis. 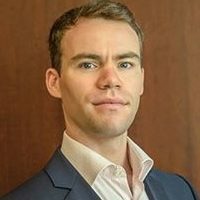 Colin began his career in public accounting with Arthur Andersen LLP in Ireland and later with Price Waterhouse LLP as a senior manager in New York City. He also served with Price Waterhouse for two years in Paris, France. Colin graduated from Trinity College, Dublin with a first class honors degree in Business/Economics and he holds a master’s degree in Accounting and Finance from the London School of Economics. 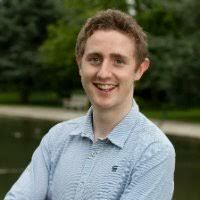 He is a CPA in New York State and a Chartered Accountant in Ireland. Rich Nigro leads the efforts of Lord Abbett’s Relationship Management team. In this role, Mr. Nigro is responsible for overseeing the Strategic Relationship Group that manages the business relationships and strategic efforts related to the firm’s distribution partners, including broker dealers, private banks, and insurance companies. In addition, he oversees the Client Relationships Group dedicated to providing best-in-class service to the professional buyer market. Mr. Nigro began his career in the financial services industry when he joined Lord Abbett in 2005, and was named Partner in 2017. Prior to his current role, he was a Regional Manager for the firm in southeast Florida, responsible for partnering with financial intermediaries to help them identify investment solutions for their clients. He also served as a Divisional Sales Leader for the independent and private bank markets. Mr. Nigro earned a BS in finance, with a minor in international business, from The Pennsylvania State University. 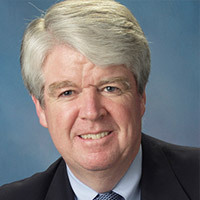 John Reilly is a trial lawyer who has served as lead counsel in federal trial and appellate litigation throughout the US involving antitrust, price-fixing conspiracies, monopoly, commercial and real estate disputes, RICO actions and class actions, as well as arbitrations in both US and global forums. 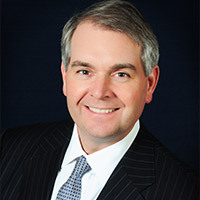 In addition, John has been an arbitrator (including panel chairman) and counsel in numerous arbitrations involving commercial disputes, international disputes, maritime disputes and New York Stock Exchange proceedings relating to securities and other investments. He has also advised and counseled clients regarding joint venture arrangements in several industries, including airline and shipping, and with respect to re-sale price maintenance programs, as well as in grand jury antitrust investigations into the shipping industry. He has served as a monitor in the New York City Integrity Monitoring Program and in the NY/NJ Port Authority Monitoring Program. 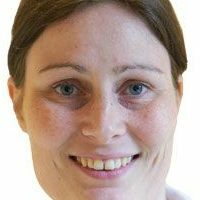 Anne Sansevero RN, MA, GNP, CCM is the founder and CEO of HealthSense LLC, an Aging Life Care management consulting practice and co-founder of Holistic HomeCare Associates LLC a home care agency. She is a master’s prepared geriatric nurse practitioner with over 30 years of experience in the health care and aging fields. 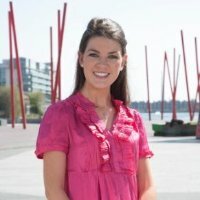 Anne is a native of Galway, Ireland and trained as a nurse in St. Vincent’s Hospital, Dublin. She emigrated to the US in 1986 and completed her advanced nursing studies at New York University. 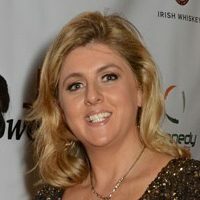 Anne is married with two grown sons and lives in New York City. 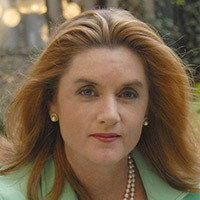 She is a Fellow of the Aging Life Care Leadership Academy and serves on the board of the Aging Life Care Association®. She has served on the board of CMRF since 2014. 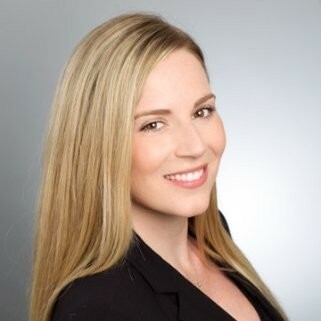 Amy Howlett is a Senior Relationship Manager with Bank of America’s Global Commercial Bank. 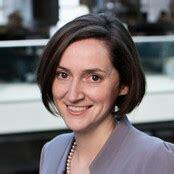 She advises Middle Market enterprises ($50MM – $2Bn in revenues) and provides the bank’s full range of solutions including credit, treasury, risk management, advisory and capital markets, employee benefits and wealth management. 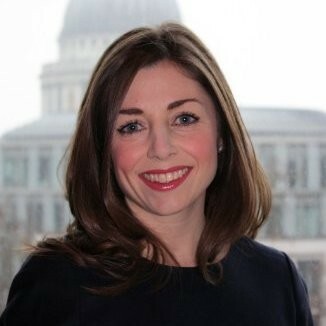 Amy joined Bank of America in 2012 as a Senior International Financial Advisor in London, specialized in advising private clients who were resident in the UK. 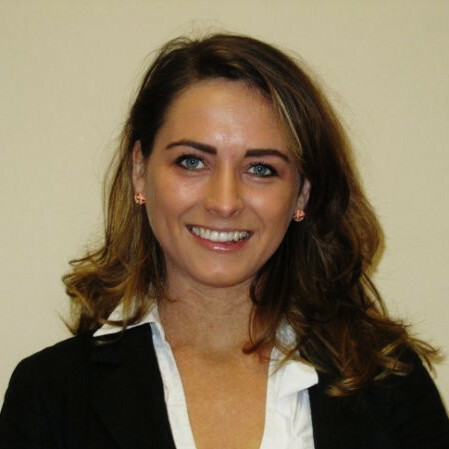 She moved to New York in 2013 and joined the firm’s Enterprise Client Coverage Team. 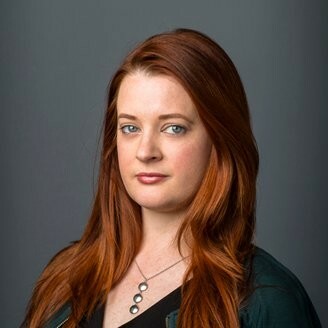 She was responsible for working with Global Corporate & Investment Banking relationship managers and their clients to provide solutions to preserve and growth wealth for C-Suite executives in addition to advising on a range of institutional investment mandates. She worked across various sectors with a focus on Financial Institutions and Technology, Media and Telecommunications companies. 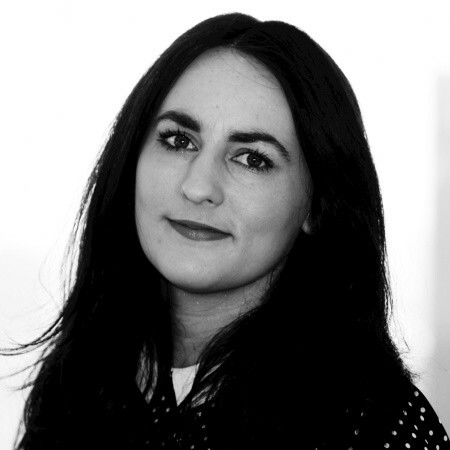 Previously, Amy lived in France, Switzerland and Russia, where she advised an international client base on a range of corporate finance, strategy and advisory projects. 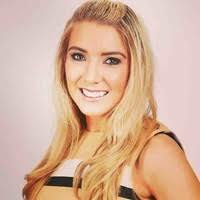 Amy is a Chartered Analyst in Alternative Investments (CAIA) and holds an Executive MBA with distinction from Cass Business School, London and an honors degree from Trinity College Dublin, Ireland. Our Emerging Leaders are a group of young professionals who are passionate about the work of CMRF with a fundraising and awareness raising mission. These inspired young people first gathered in 2014, and since then have organized numerous events to generate essential funds in support of Children’s Medical Research Foundation, Inc.